Our family-owned courier company offers reliable collections and delivery services to individuals, families, and businesses throughout the UK. We aim to provide a professional and enjoyable service by removing the usual stress and hassle associated with same day delivery runs. Take the stress out of sending from a parcel to pallet with our same day delivery service. As our customer we know we are representing you, whether it’s a local run or long distance, we will take care of transporting your consignments for you – giving you the time to deal with all the other important things you may have. We aim for the highest standards in road safety, to ensure your goods are delivered on time and efficiently. We are able to deliver and collect within London as part of our same day service, or using a dedicated vehicle for time critical consignments. Our vehicles comes with £10,000 goods in transit insurance. Sometimes deliveries are tricky but we will do everything humanly possible to satisfy your requirements. Save yourself the time and hassle, and let us do the hard work for you. Our experienced drivers are polite and always willing to help,they will make sure your consignments will reach their destination because we value every customer. With over 10 years of experience in the transport and logistics industry we decided to make the next step and built a courier company. We know everything about this sector with the pros and cons and our major goal is to fulfill your needs with a personal touch. We are proud member of the largest courier organisation and trusted company by so many businesses throughout the UK after a long way of building reputation. At RGP Trans we will meet your delivery deadlines offering a comprehensive service at the highest standard in the industry. 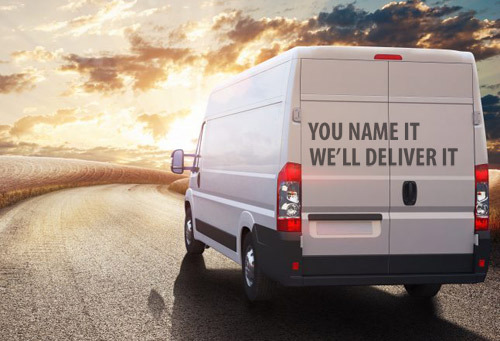 You Named It, We'll Deliver It! Many major companies in the UK choose us when speed and punctuality are an absolute must. 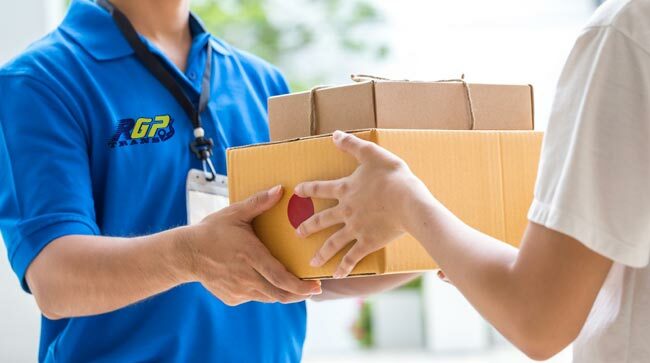 From companies that depend on the urgent delivery of legal documents to those who need just-in-time deliveries or vital medical supplies, we are the courier service that people choose when reliability, speed, and quality are imperative. We treat every object with absolute care, but for the tranquility of our customers, we are also fully insured. No matter how precious, delicate, beautiful or precious your article is, you're in good hands with us! If you need to send something more or collect something, we can also arrange collection and delivery throughout THE UK. RGP TRANS has been providing courier services and exceptional shipments throughout the United Kingdom for over ten years. Our business has always been managed locally, and although we move packages, and pallets of all sizes, from England to Wales, we remain faithful to the values and core intentions upon which our family business was founded. What information do I need in order to get quotation? You will need to give us both the collection and delivery postcodes together with a brief description of what needs collecting. In the case of larger deliveries i.e. over 300kg it is important to give us the approximate total weight so we can ensure that the vehicle we provide can safely handle the consignment without being overloaded. How can I book a job? Booking a job with RGP Trans could not be easier. You can either ring us directly or, if we have already supplied you with a quotation by email, simply reply by email saying that you wish to go ahead giving us a contact telephone number in order for us to take your payment, alternatively you can pay on our secure website via paypal with your credit or debit card. We will then arrange our courier and inform you of their ETA (estimated time of arrival) at the pick-up point. For jobs booked in advance we take payment either on the day before or on the morning of an afternoon collection. There’s no need to set up an account. Just call or email to give us the collection and delivery details and then we can take payment over the phone using a credit or debit card or you can use the Paypal button and make the payment yourself online. You can pay using most major credit or debit cards including Mastercard. Visa, Electron, American Express and Maestro or Paypal. Yes, we will send you a fully receipted VAT invoice by email, or by post if you would prefer. Can I book a job in advance? Yes, if it is more convenient you can book a courier in advance and we will arrange for our courier to be at the pick-up point at your specified date and time. How quickly will the job be collected after making the booking? With our network of over 2,000 couriers, we can collect almost anywhere in mainland UK within 60 minutes of booking. Your goods will then be delivered directly to their destination by your dedicated courier. Packages must be properly wrapped/sealed to avoid damage to their contents in transit. The customer is responsible for ensuring the packaging is adequate for the purpose and that the labelling is correct and clearly displays the recipient’s name. Are my goods secured during transit? Yes, all our consignments are covered by our Goods in Transit insurance. Please let us know if you require additional insurance for specific high value goods i.e. works of art.